Would you like to start your 30-day free trial? I don’t get it. 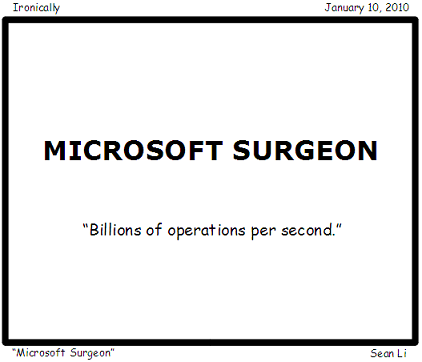 I mean I get the whole surgeon part with the billions of operations per second, but as I understand it that refers to the CPU more than anything, so why the allusion to microsoft? Wouldn’t Intel or AMD be more appropiate?